Kentucky students can choose between over 35 institutions offering accounting degrees at all levels. These include two universities ranked in the top 200 in the country by US News. Moreover, the Public Accounting Report’s 2013 survey of accounting professors rated the University of Kentucky as the 23rd best medium-sized institution with an undergraduate accounting program. While Kentucky accounting schools do not shine out in nationwide rankings, their programs offer plenty of choices ranging from certificates to advanced degrees. As an accounting graduate, you will find yourself in a lucrative and rapidly growing field. Although accounting salaries are below average in Kentucky, accountants can increase their pay level significantly depending on the career path they choose, which can lead anywhere between being a public accountant and the CEO of a major company. Like many high-level professions, an accounting career starts in university. You will need advanced skills, an analytic mind and a great deal of experience in order to succeed as an accountant, and employers will expect you to hold all of these assets as a graduate. The first thing to remember when choosing an institution is that accounting is not easy – and neither should be the accounting program you attend. Choose the most challenging and rigorous program, look for award-winning faculty and students and high CPA exam pass rates. Make sure the program will allow you to meet the credit requirements for taking the CPA exam if you intend to become a Certified Public Accountant (CPA). Secondly, an accounting program should turn you into a professional ready for on-the-job success. Look at the school’s graduate employment rates and starting salaries and check whether the curriculum involves real-world experience in accounting through internships or field study projects. Student organizations and a busy careers fair can also provide insight into the opportunities you will have as a student. Finally, don’t forget to look beyond rankings for the right blend of advanced technical competence and hands-on experience that can drive you to the very top of your profession. Accountants are more in demand than ever in a changing business world with new and complex problems brought about by globalization and economic fluctuations. If you have a flair for business and an aptitude for financial analysis, an accounting background can take you far in your career. You will need at least a four-year Bachelor’s degree in a relevant field in order to work as an accountant. However, to become a CPA you will be required to complete at least 150 hours of college education including a certain number of accounting and business courses. You will also need to pass all four sections of the notoriously difficult CPA examination. In addition, before you can apply for your license you will have to acquire one or two years of accounting experience depending on your state’s requirements. While becoming a licensed CPA involves additional challenges, it can bring you significant advantages in terms of pay and employment opportunities and can help you build a rewarding and exciting future. To be eligible to take the CPA exam in Kentucky, you need to hold a baccalaureate or higher degree with an accounting concentration, defined as at least 39 hours in business-related courses including 27 hours in accounting. You do not need to fulfill the 150-credit requirement to take the exam, but you will have to complete the 150 hours in order to be granted a license. 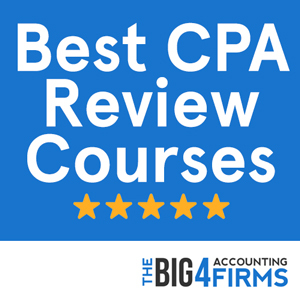 After you have passed the CPA exam and met the education requirements, you will also need to acquire one year of accounting experience before you can apply for a CPA license. There is no residency requirement in this state, but candidates for licensure have to be at least 18 years old. Kentucky ranks among the states where being an accountant is less lucrative, with an annual average salary for accountants and auditors of $61,810 in 2013. This falls below the national average of approximately $65,000 for this profession. However, accountants working in a metropolitan area such as Lexington-Fayette benefit from average annual salaries of almost $70,000. Such a difference is typical of a profession with huge variations in pay depending on area, experience, skills and employment sector. Kentucky has seen a steady increase in the number of accounting professionals, as well as a growing need for young CPAs able to incorporate technology and new insights into their practice. Qualified graduates are thus in a great position to start their career and opportunities abound even though Kentucky does not stand out in terms of average accounting salaries and employment levels. Ranked as 161st nationwide by US News, the University of Louisville offers an alternative to prospective accounting students. The AACBS-accredited College of Business offers a BSBA in Accountancy with the possibility to undertake an additional concentration in Information Systems. Moreover, the university’s Flight Plan is designed to help students stay on track and finish their degree within four years. Students aiming for CPA certification may study for the Master of Accountancy degree that provides advanced expertise in taxation, audit, corporate accounting and reporting, as well as information systems, data analytics and research tools. 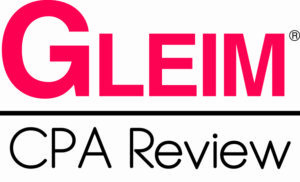 The degree also prepares students for the CPA exam by incorporating the Becker CPA Review course. Thanks to Kentucky state legislation, candidates can take the CPA exam while studying for their Master’s degree. If you have an undergraduate degree in a different field, the University of Louisville offers you the possibility to complete a Certificate in Accounting in order to prepare for the CPA exam. The Gatton College of Business and Economics at the University of Kentucky is rated as the 100th best in the country by US News and made the PAR 2013 listing of best accounting programs in the medium-sized institution category. Students can earn a 120-credit Bachelor of Science and a 30-credit Master of Science in Accounting at this prestigious school. If you wish to sit for the CPA exam, the Master of Science in Accounting offers you the opportunity to take the exam while earning the degree. You will need at least 24 hours in accounting in order to enroll on this demanding course. The program had an incredible 2013 CPA exam pass rate of 100% for candidates who sat for all four sections in the year of graduation. The Gatton College also boasts good graduate employment rates, with the “Big Four” firms recruiting significant numbers of graduates every year. With coursework designed to prepare you for the CPA exam and to equip you with advanced accounting skills, a Gatton education will place you at a definite advantage in the job market.